Oh, to have a huge bathroom, double vanities, garden tub, separate shower, and walk-in closet. Though it’s a nice thought, it’s a fantasy for those with small bathrooms. 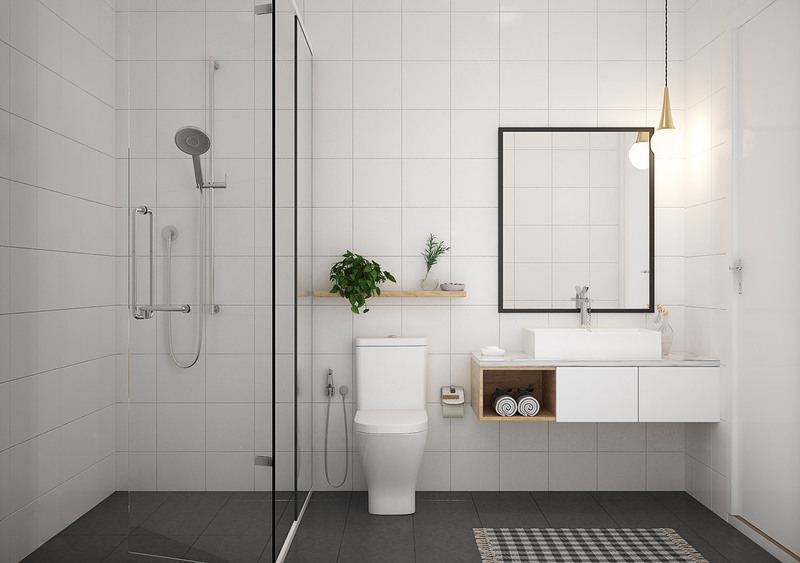 When homeowners or property owners first lay eyes on a small bathroom, they often dismiss it as one of those designs you simply can’t do anything about. The truth is, you can do quite a bit with a small bathroom to make it look stylish and more spacious. Light colors can make a room look more open. 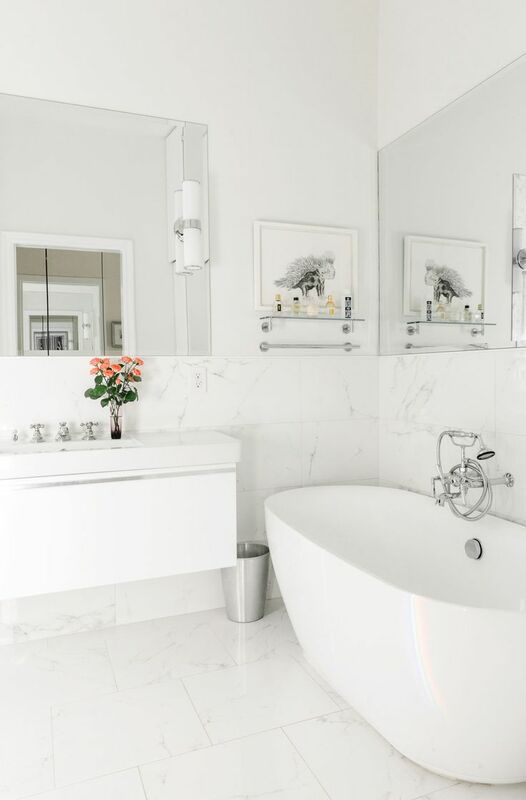 When you design with white and light colors, you create an optical illusion of spaciousness in your small bathroom. Not everyone is willing to commit to white on white. If that is the case with you, you can get a very similar effect with super light tones. Colors such as light beige, pink, blue, and yellow are also very effective to create a sense of openness. Space is an important design element in a room this size. 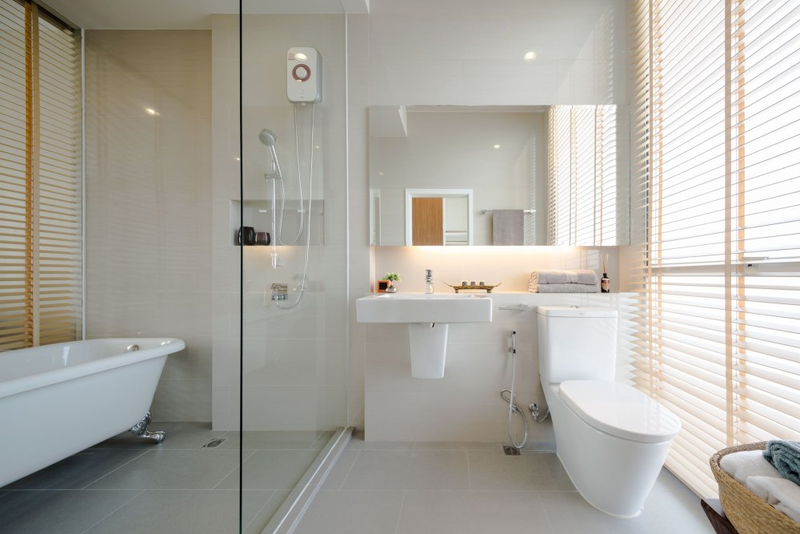 Often the key elements of the bathroom are what makes it look bulky and cramped. For instance, vanities tend to be huge! But, they don’t have to be. Floating vanities are a great option that gives the function to your vanity, but when it is ‘lifted’ off the floor by several inches, this gives a wonderful illusion of more space. If you have a small bathroom, then your space will fill up fast. However, clutter will absolutely make the bathroom seem smaller. Choose a smaller sized vanity and then consciously limit yourself to only keeping what will nicely fit into that vanity. Research and select simple, modern fittings and plumbing designs that don’t clutter the room. The careful selection and placement of mirrors create the finest optical illusion of light and space. Mirrors in your small bathroom will help to reflect more light around the space. Also, a mirror naturally gives your brain an extension of barriers. This means that a mirror can look like an extension of a space. It’s a great way to give you and your guests a feeling of comfort and spaciousness. It may be tempting to make up for your bathroom’s small size by getting some big decorating ideas. This will work against you, however. The more décor you bring into the bathroom, the more cluttered and tiny it will seem. Streamlining décor will give your bathroom a sleek look that will contribute to the overall big effect you are trying to pull off. The right placement of lights will brighten and give a feeling of vastness to your space. One option is to install lights with covers that reflect and project the light. Another way is to bring light into your room is by accenting the windows with the right window treatments to bring a more natural light into your design. As you can easily see, there is no need to give up on your bathroom because of its small size. Tips such as these can transform any small space into an invitation for relaxation as well as functionality in your small bathroom.